Welcome to an analytical, extensive summary of employee engagement strategies. We polled over 450 representatives on their organization’s view of engagement, who’s responsible for strategies, and what employee engagement tools they utilize for the best results. 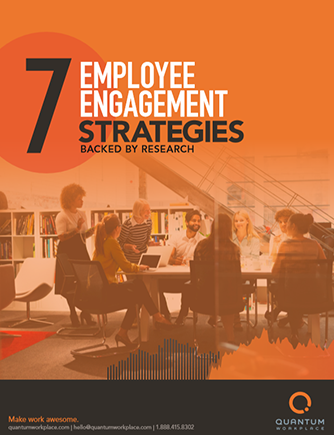 Designed to give executives and HR leaders insight into how organizations invest in employee engagement, this report pulls together key findings and trends. What are the biggest hurdles to employee engagement? Which employee engagement tools are most utilized? What do organizations look for in engagement software? Who’s responsible for employee engagement strategies?